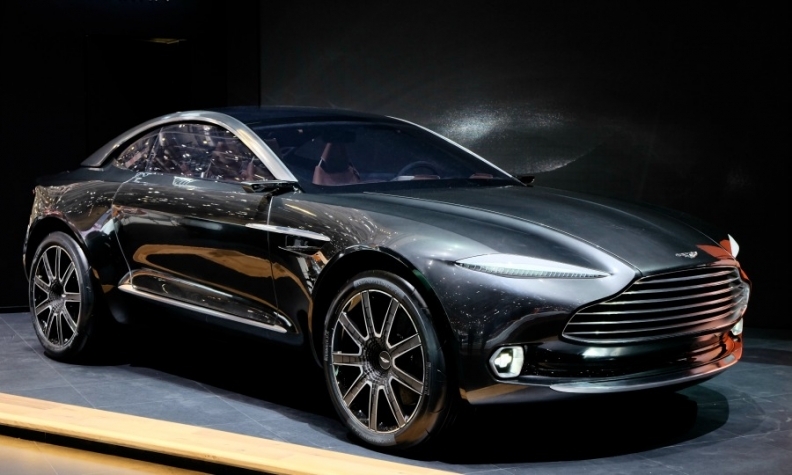 Aston Martin expects the DBX crossover to significantly boost annual sales. The DBX concept is shown at the Geneva auto show. LONDON -- Aston Martin is set to make a decision on building a second factory, likely to be in the United States, by the end of the year, CEO Andy Palmer said. The U.S state of Alabama is the “obvious choice” for a new plant to build the upcoming DBX crossover, Palmer told Automotive New Europe. A decision has not been made yet, he said. Palmer said the UK sports car maker has narrowed potential locations to regions where it will sell the most DBX models. “Our principal customers will be in the United States and China,” he said. A China location would be difficult because Aston Martin would have to form a joint venture with a local automaker. It is also more difficult to export vehicles from China, Palmer said. Aston Martin plans to launch the DBX in 2019 as part of its plans to increase annual vehicle sales to 15,000 from 4,000 last year. The automaker has limited room for growth at its factory in Gaydon, central England, which currently builds all Aston Martins. Palmer said it would be possible to build 15,000 cars a year at the Gaydon factory but it would be a strain. “If went to three shifts we would be at 15,000 a year, so theoretically we could do it but you'd have no room for stoppage for maintenance.” However, expanding Gaydon remains an option, he said. Aston Martin prefers an Alabama location because it would be close to where Daimler builds Mercedes-Benz SUVs, Palmer said. Daimler has a 5 percent stake in Aston Martin as part of a deal to supply the UK company with high-performance V-8 engines and electronic architectures for the firm’s next generation of sports cars, likely to be launched starting next year. Last month, the Financial Times reported that Aston has held talks with officials in several U.S. states about a factory to build its first crossover, which would be based on the all-electric, all-wheel-drive DBX concept unveiled at the Geneva auto show in March.